There’s been a lot of buzz on social media about a report that Netflix Instant will be dropping about 80 movies at the end of the year — i.e. the end of today — as licensing arrangements expire. Some folks are desperately trying to cram those movies in while we’re still in 2013 before they’re gone for good. What I’ve heard is this is a fairly common thing with Netflix, and that movies that get dropped often will quietly reappear a few months later as the licensing agreement gets renewed. So I would say relax — but then I saw the movies that are going away, including “Brick,” “Roman Holiday,” “Eternal Sunshine of the Spotless Mind,” “Being John Malkovich” and more. And then I started panicking a little bit too. So if you want to usher out 2013 with a great movie-watching bingefest, I will not judge. For New Year’s Day and beyond, though, here are five more films (all documentaries, weirdly enough) new to streaming on Netflix Instant. And there’s no rush. Pick of the week: “More Than Honey”: My full review is here. What’s going on with the bees? 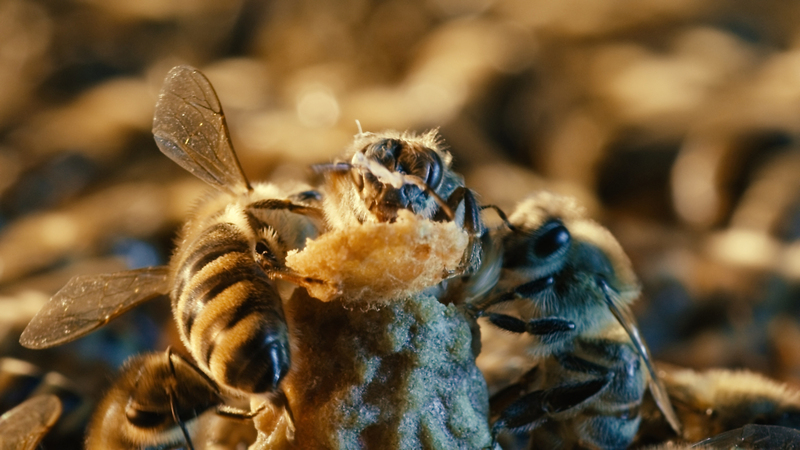 This thought-provoking and truly beautiful documentary looks at the danger posed by bees dying off as a result of mass-produced corporate farming. Worth it for the bee’s eye view shots alone. Music documentary of the week: “Big Star: Nothing Can Hurt Me”: My full review is here. This documentary delves into the troubled, brief and brilliant existence of one of rock’s great underappreciated bands, whose power-pop influences are still heard all over today. Personal documentary of the week: “Shepard & Dark”: My full review is here. The unlikely lifelong friendship between Johnny Dark, New Mexico grocery clerk, and Sam Shepard, playwright and actor, is chronicled in this wry and revealing film. Arts documentary of the week: “Caesar Must Die”: My full review is here. You’ve never seen a production of “Julius Caesar” like this, put on by the hardened criminals in an Italian prison in this documentary. The inmates clearly draw from their own pasts in their performances, and the result is a fascinating look at the blurred line between art and experience. Public affairs documentary of the week: “Food Inc.”: My full review is here. Robert Kenner’s 2009 film looks at how the corporate food industry is a largely unregulated and profit-driven machine, which doesn’t bode well for the health of Americans. Farmers’ market shoppers likely know all this, but the documentary is still an eye-opener that will make you think twice about what’s on your plate.